All areas in and around the North West are covered including but not exclusive to Manchester, Liverpool, Sheffield, Leeds, Blackburn, Preston, Huddersfield and all of Cheshire. Do you have unwanted rubbish or junk that you need to get rid of? Then our Local Junk Removal service is the perfect skip hire alternative as all labour and waste transfer costs are included. Our professional rubbish collection teams can remove waste from anywhere on your property, domestic or commercial. We offer a fast, reliable same day response to your enquiry, all customers are valued equally and there’s no need to worry about bulky items, as our uniformed staff will take care of all the heavy lifting for you. Every job is then swept up leaving it spotlessly clean. We pride ourselves on having an ethical approach to each and every job which will be carried out with excellent customer service. All items are disposed of at a fully licensed waste transfer station, where 80% of it is recycled & diverted from landfill. NB: We are a fully licensed and registered carrier of waste with the environment agency (waste carriers licence no; CBDU179358.) 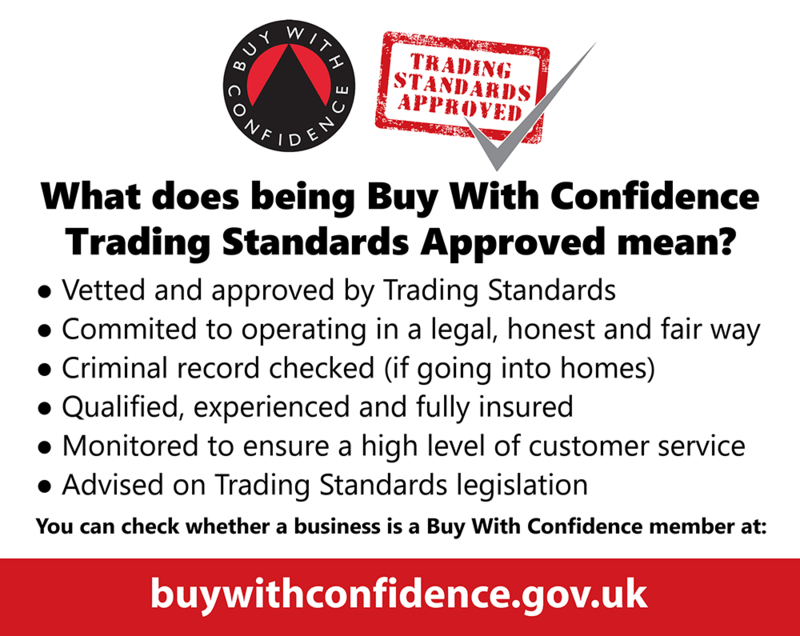 We are also members of the Which Trusted Traders and the Trading Standards Approved Buy with Confidence Scheme. We offer a wide selection of Waste Management Services within the Northwest Area. Our staff are always professional, friendly and very reliable. To speak to one of our team call today. Our prices are based on the volume and weight of waste being disposed of. Before any work commences a final price will be agreed and this will not increase providing no more waste is added. Our prices include all labour and waste transfer costs. We cover all areas, please telephone for a quotation. House and Office clearance specialists. Our Rubbish Removal services include all labour and waste transfer costs.